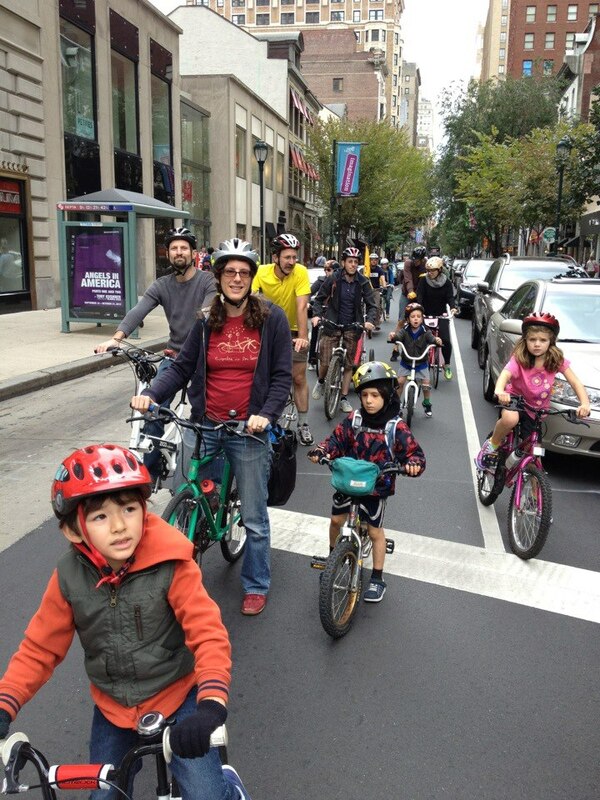 This Wednesday (July 17) the Philadelphia Museum of Art’s #ArtSplash is hosting a family-friendly bike event. Although this isn’t a Kidical Mass event we think this will be great fun for bike families. This program is in association with Art Splash. Families, bring your bikes, trikes, helmets, and scooters for a decorating workshop with artist Candy Coated. The night culminates with a bedazzled bike parade around the neighborhood. 2. Kazoos for parade participants! 3. This is the only night this summer that Perelman is open for Pay What you Wish Wednesday, and it is a great opportunity to see the 5 exhibitions now on view. 4. Bike decorating will be out back in the Perelman parking lot (rain location is inside). Please join the Bicycle Coalition and biking parents July 20th to learn and explore ways to bike with kids. Are you a young or expecting parent and interested in biking with your children? This is a group we hear from frequently. There is a lot of information out there, and just as many questions. We’ve found that the best answers come from other parents themselves! Join us on Saturday, July 20th for a meetup of parents interested in learning more about biking with children. This parent-led gathering will be an opportunity to ask questions, check out cargo bikes and other gear, and meet other bike-curious or bike-enthusiastic parents. Already bike with your children and want to help? Contact Diana Owens Steif – diana@bicyclecoalition.org.